Japan’s PM Shinzo Abe has visited Amsterdam’s Anne Frank House museum, weeks after 300 copies of her famous diary were vandalized in Tokyo. Shinzo Abe said he made the visit “to encourage peace in the entire international community”. A suspect is in custody for vandalizing the books, but his motive is not known. Shinzo Abe was lambasted by Seoul and Beijing last December for visiting a Tokyo shrine to dead Japanese soldiers, including convicted WW2 criminals. Anne Frank’s diary was written during World War Two, while the teenager hid from the Nazis in occupied Amsterdam. The book made her a symbol of the suffering of Jews during the war. Shinzo Abe’s grandfather, Nobusuke Kishi, was minister of industry for much of the war. Nobusuke Kishi was arrested after Japan’s surrender but was never charged and went on to serve as prime minister. 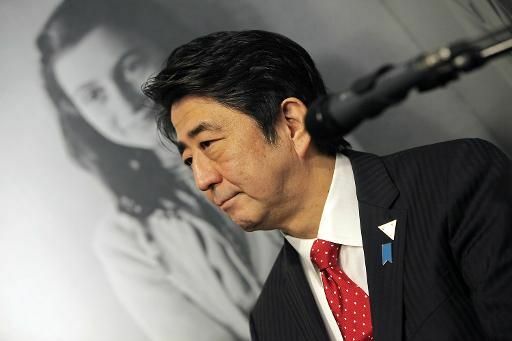 Speaking at the Amsterdam museum, Shinzo Abe noted the “deep connection” between Japan and the Anne Frank diary, and the fact that many Japanese visit the museum. “Looking ahead to the many years of the 21st Century I would like to ensure that we will never see the same things happening, and I share the responsibility of realizing this goal,” he said. Shinzo Abe is in the Netherlands for a Nuclear Security Summit and a G7 meeting on the crisis in Ukraine.